Family Veterinarians right in your neighborhood! 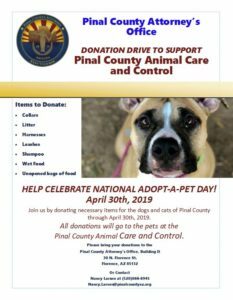 In 2005, after realizing there was a critical need for veterinary care in the rapidly growing Johnson Ranch area of Queen Creek, Dr. Marc Schmidt established Johnson Ranch Animal Clinic, making him the first veterinarian in San Tan Valley. In response to the increasing number of communities, residents, and pets, Dr. Kelly Bowers joined him in the practice a couple of years later and together, with over 40 years of experience between them, they treat the medical and surgical diseases of area’s dogs and cats as well as providing preventative care for them and client education to their owners. Johnson Ranch Animal Clinic’s goal is to help people and their pets enjoy the human-pet bond to the fullest. At Johnson Ranch Animal Clinic, Dr. Schmidt, Dr. Bowers and the staff will always take the time to listen to your concerns, answer your questions and explain all the treatment options available. And you are welcome to remain with your pet during any procedure.